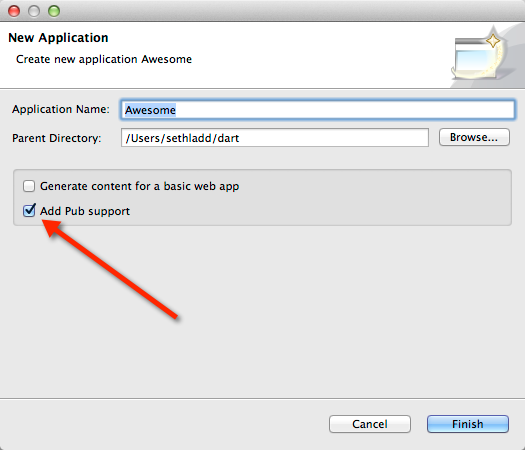 The Eclipse plugins distro is now compatible with Eclipse 4.2. We now support using @override and @deprecated metadata from package:meta/meta.dart. See this CL for an example. Our syntax and semantic highlighting has been dialed back a bit. Added a clean up to migrate raw strings from @'str' to r'str'. 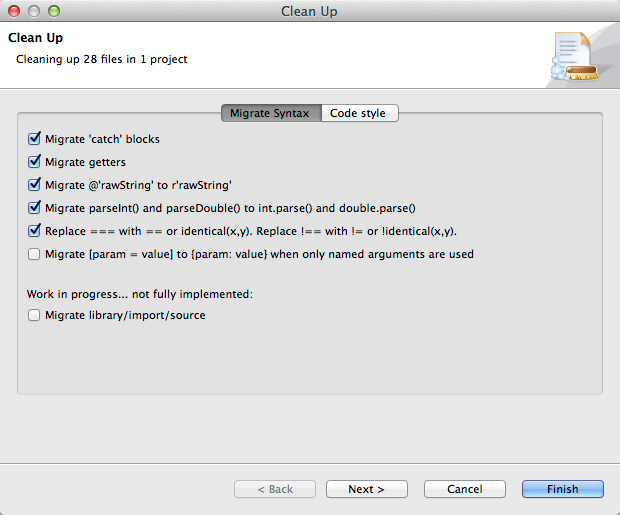 Added a clean up to migrate parseInt() and parseDouble() references to int.parse() and double.parse(). Added a clean up for converting "===" to "==" and "identical()", and for converting "!==" to "!=" and "!identical()". The debugger now shows hashmap contents as their symbolic key:value pairs, instead of showing the internal fields of the HashMapImplementation class. Miscellaneous fixes to our plugins distribution, fixes to our cleanups, and 15 analysis fixes. If you downloaded last week's integration build, try updating with the auto-update feature (Preferences > Update). And as always, view the changelog for the full list of changes, and to get started with the Editor see our tutorial.